Our new walk-in policy has been well received by patients too busy to make an appointment. We are well set up to deal with eye emergencies. We’ve been in business since 1967, and treated hundreds of thousands of patients. Many travel long distances to come and have their eyes examined by us. The New Jersey Eye Center has a medical optical dispensary. You can walk into the Center, have your eyes examined, and get eyeglasses in under an hour. We have over 7,000 frames in stock. Our wide range of designer frames are available at a significant discount. Patients who use us are very satisfied. They get a prompt and professional service. Goodbye to mistakes and wrong prescriptions, and unnecessary trips back to the eye doctor or optical dispensary! If you haven’t tried getting your eyes examined with the New Jersey Eye Center, just try us. SEE THE DIFFERENCE! We invite you to take care of your eyes’ health now. Our licensed opticians and eye professionals strive to make your trip to the eye doctor and optical shop seamless. We are proud of the service we provide. We work hard to ensure you have a great experience with us. Our Eye Center provides vision tests and comprehensive medical eye exams. Our facilities are extensive – with 12 eye exam rooms and over 15,000 square feet of ancillary treatment rooms. This allows us to handle all kinds of eye conditions and emergencies. 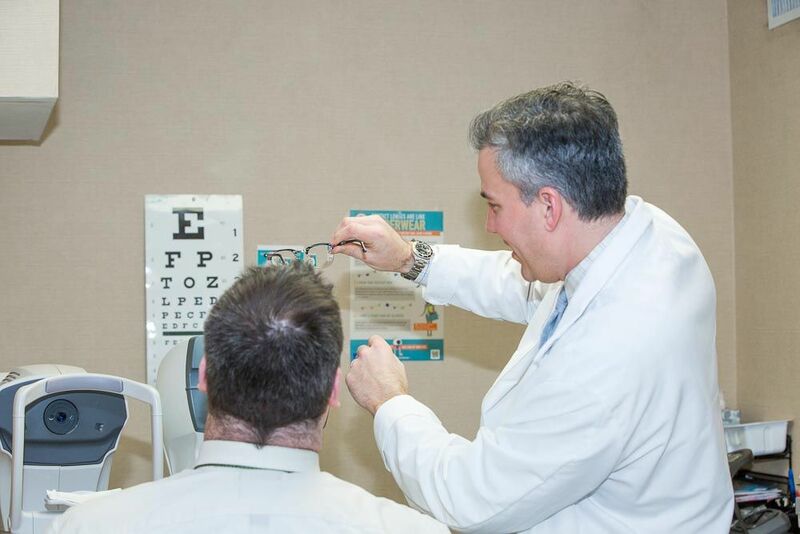 The New Jersey Eye Center provides Total Eye Care and Comprehensive Eye Care in the same location. This is a great reason to have a routine eye exam with us. We have board-certified glaucoma, cataract and retina specialists, including those on fellowships. The advantages to patients in terms of care and convenience are huge. Eye exam – Do you know what eye exams can do to save your eyesight? Do you know why they are important? Eyesight is a wonderful thing, but all too often we take it for granted. To preserve it we need to look after our eyes and have regular check-ups, including eye exams. Did you know that eye exams can identify diseases and even save your eyesight? There are many different types of eye exam – they are not all the same. They differ according to the type of exam you need, and who is carrying them out. Are all eye exams of equal value? No. For instance, an eye chart test at a motor vehicle bureau can help you get a driver’s license. But that’s just a low-grade screening. It’s not done by a professional and it’s not an eye exam. Vision screenings help identify visual problems. However, you cannot rely on them to uncover significant underlying problems. Passing a vision screening test at a health fair or school is not enough. It is not a reliable way of assessing the health of your eyes and vision. Those carrying out such screenings are often volunteers or people not trained to identify changes in a child’s or adult’s vision. They do not know enough about the human body to link existing or potential eye problems to one’s overall heath. In fact, they could be misleading, even risky. Eye exams carried out by a licensed optometrist or ophthalmologist, on the other hand, are highly beneficial. A complete medical vision exam can identify problems early on. It’s also a window on a patient’s health. Perhaps you are not seeing well and need new glasses? If that’s the case you need to get a proper, professional test done. Such examinations can determine whether you have an eye disease needing medication, surgery or laser treatment. Professional eye exams are performed by eye doctors or their assistants. Assistants screen your vision to discover eye abnormalities. After that, they can refer you to a professional, that is, an optometrist or ophthalmologist. An optometrist is a doctor who has postgraduate training at a university specializing in optometry. Optometrists are only licensed by the government after satisfying intensive requirements. They will have proved that they can competently carry out complex eye examinations. They will know how to use a range of diagnostic tools to uncover abnormalities that may require treatment. Optometrists also advise patients, and prescribe glasses and medicines. An ophthalmologist is a doctor with specialist knowledge of the eye. Ophthalmologists spend about eight years after college specializing in the human eye. Some even spend additional years focusing on a specific area, such as cataracts, glaucoma, the retina, or cosmetic surgery. He or she performs all levels of examination, prescribes glasses and/or medication, and also carries out surgical interventions. Diabetes is a major cause of new cases of blindness. Glaucoma is a group of eye conditions that cause sight loss by damaging your optic nerve. The human eye can help specialists diagnose systemic illnesses. For example, ocular changes are common in endocrine disorders such as diabetes mellitus and Graves’ disease. Talking to eye specialists can help you in more ways than you can imagine. There are two types of visual exams: a routine exam or a comprehensive medical-visual exam. The latter will almost always include putting drops in your eyes (pupil dilation). This can help reveal the status of your optic nerve and retina. Furthermore, retinal exams allow the eye doctor to more easily examine the backs of your eyes. Using a slit lamp or an opthalmoscope, he or she can also check for signs of cataract growth. 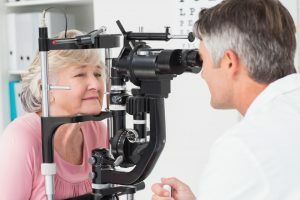 How often should eye exams be performed? Whether you wear glasses or not, the American Optometric Academy recommends eye exams every two years. This applies to everyone aged 18-60. If someone is at risk of having an eye problem, more frequent checks are recommended. For those aged 66 or over, the Academy recommends an eye exam with an optometrist or ophthalmologist every year, or even more frequently. If you are a diabetic or suffer from hypertension you should have an eye exam at least once a year. The same applies if you have a family history of eye disease, or do visually demanding work. People who wear contact lenses also need more frequent eye exams. Short Description: The New Jersey Eye Center has a medical optical dispensary. You can walk into the Center, have your eyes examined, and get eyeglasses in under an hour. The New Jersey Eye Center provides Total Eye Care and Comprehensive Eye Care in the same location. This is a great reason to have a routine eye exam with us. We have board-certified glaucoma, cataract and retina specialists, including those on fellowships. The advantages to patients in terms of care and convenience are huge.